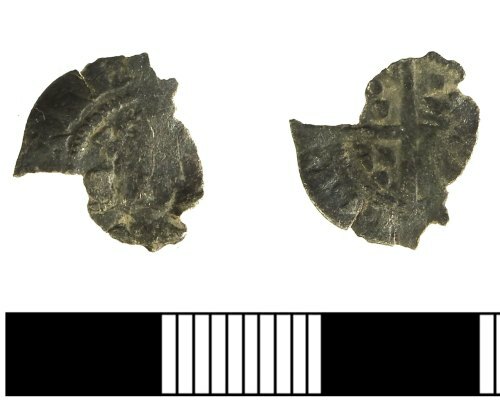 A fragment of a silver medieval halfpenny of Edward III (1327-1377) florin coinage, dating to 1343-1351. Obverse: facing bust with bifoliate crown and distinct collar. Legend has lombardic N, no stops.